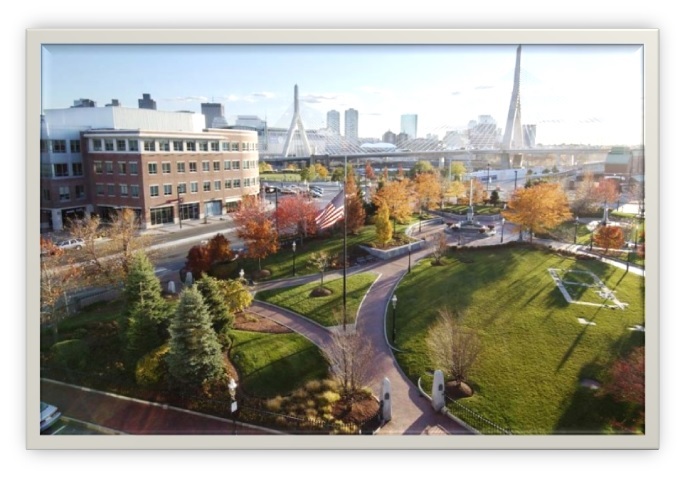 Charlestown is located on the peninsula surrounded by the Charles River, Boston Harbor and Mystic River. The oldest neighborhood in Boston, Charlestown contains a strong Irish-American identity since the 1840s when a large irish population immigrated during the Great Irish Famine. Charlestown is also historically marked by locations such as the Freedom Trail, the Bunker Hill Monument, and the Charlestown Navy Yard which houses the U.S.S. Constitution, the oldest commissioned vessel in the Navy. Charlestown is a great community for education. The town has a library branch operated by the Boston Public Library. Charlestown is also a home to a handful of public and private schools. It is also the location for Bunker Hill Community College and MGH Institiute of Health Professions. Below are the latest real estate for sale in Charlestown, MA. Save your favorite listings to your account and we will send you notifications when similar properties are on the market. Don't have an account? Register for free! Rare opportunity to develop in Charlestown. Extremely close proximity (0.2 miles) to the Sullivan Square T Station, less than 1 mile from the Wynn casino, Encore, and minutes from downtown Boston. Perfect location for city commuters. This highly evolving Charlestown neighborhood is in a desirable location experiencing a lot of new growth. The attached feasibility study, not approved or in progress, proposes a five-story building with 24 two-bed condominiums and 24 garage parking spaces. Site plans have not been approved. There are countless options for this development. No warranties or representations are guaranteed. Buyer to do due diligence to verify all information. Welcome to the Matthew Rice House, circa 1868. Located one block from Monument Square in Charlestown, this renovated 4 bedroom, 3.5 bath single family home features a private yard, central AC, vaulted ceilings, crown moldings, original marble mantle, and hardwood floors throughout. First floor contains kitchen, dining room and living room space with an open concept layout. Updated kitchen features Jenn-Air appliances, soapstone countertops, shaker cabinets, subway backsplash, and garden views. Mudroom off the kitchen flows into half bathroom with laundry, and back yard access to deck, patio, and fenced in grassy playspace. Second floor features large master bedroom with vaulted ceilings, bowed windows, and newly added master closets, second bedroom, and full bathroom. Third floor has two bedrooms, office/nursery, and full bath. Finished basement acts as great playroom with full bath, storage, offering both yard access through bulkhead and street access via full walkout door.